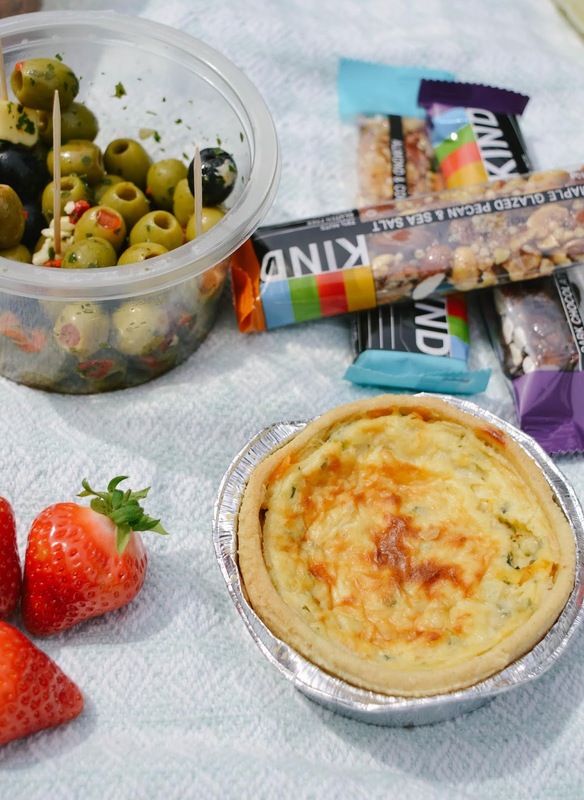 Who doesn't love a summer picnic in the sun? I live for the summer and when we get a 'heatwave' in the UK, it means we're finally reaching to 27c+ which is bliss! Don't get me wrong, I love winter and getting cosy but I think summer should include sunshine, hot weather, shorts, and plenty of al fresco dining/snacking. 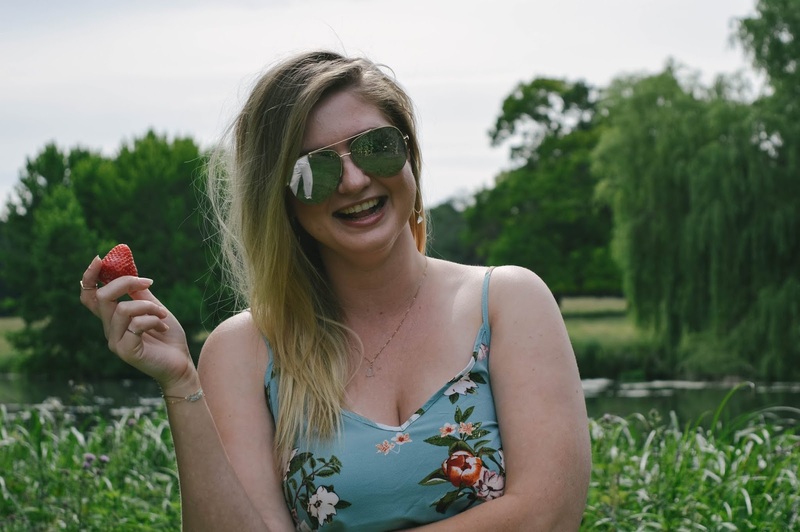 We picked one of the hot days to explore a new stately home grounds and enjoy some food whilst catching rays and catching up on life. When it comes to picnics, I like food I can pick at. When it's hot outside I tend to have a much smaller appetite than usual so snacks are the perfect food. 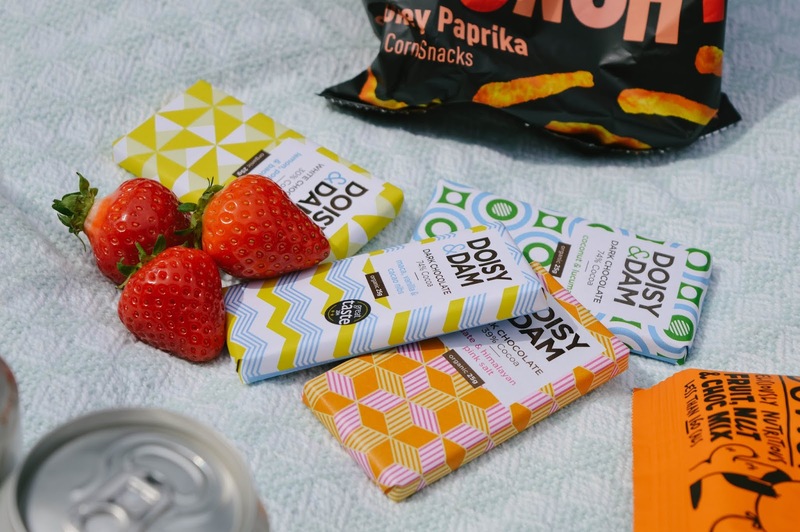 I was very keen to try some new snacks of a 'healthier' alternative - recently I've been trying to replace snacks like crisps with alternatives which contain less fat, salt, and sugar so I have partnered up with a couple of brands who offer healthier snack options. Sandows coffee was the best discovery - I love coffee, but I don't really get on with milk as it causes breakouts and stomach cramps. Not ideal. And although I have tried replacing milk, it just isn't the same - although I enjoyed coconut milk with coffee. 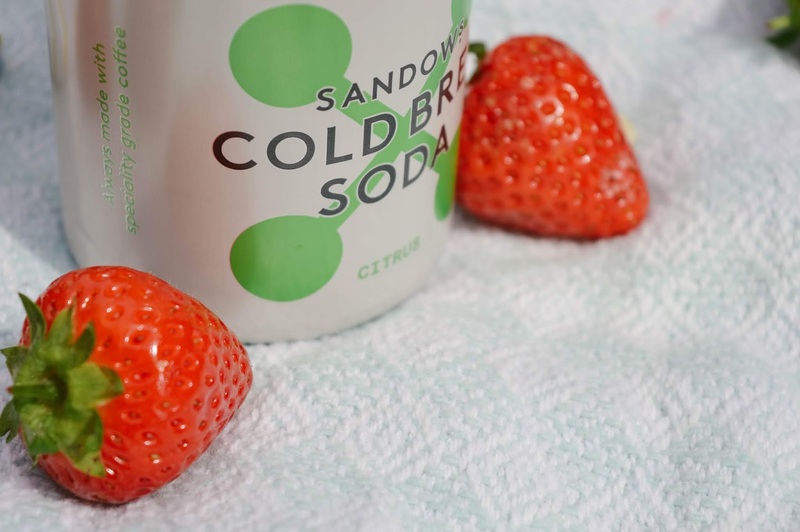 Sandows is cold brew coffee and it's dairy + sugar free but tastes amazing over ice or simply chilled! My favourite was the Citrus Cold Brew Soda which tastes like lemonade! Honestly, it's amazing. 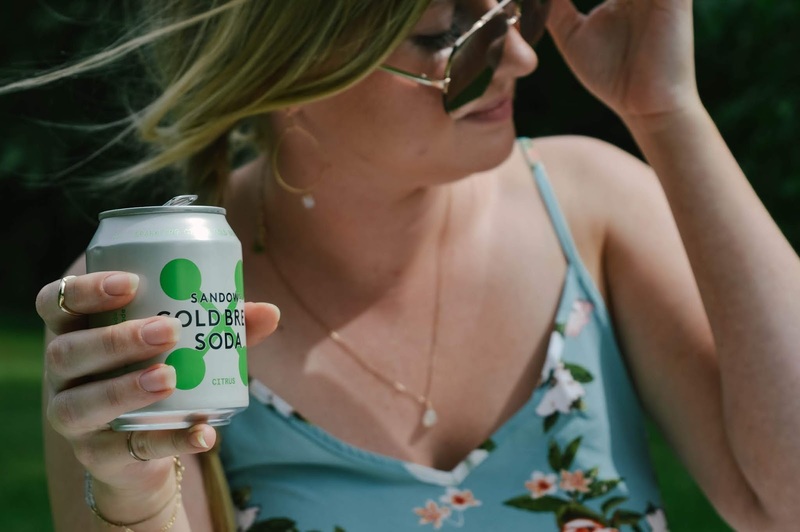 I just wish the cold brew coffee was available in more stores - you can find stockists here, and if you're in the London area there are plenty of places where you can enjoy Sandows. Sadly living in the countryside, I'm going to have to place an Ocado order if I want to enjoy these bad boys. Please Sandows, stock them in Waitrose maybe? Tesco would be ideal though - it's 5 minutes down the road from me. Kind snack bars have been a handbag or backpack essential of mine ever since I tried their delicious flavours like Dark Chocolate Almond Mint and Maple Glazed Pecan And Sea Salt. Hanger is real when it hits so I always carry a snack bar with me and Kind snack bars are a winner for their flavours and ingredients which keep you full until your next big meal. I really enjoyed snack packs from Real Handful - a snack that's packed with unruly flavour! 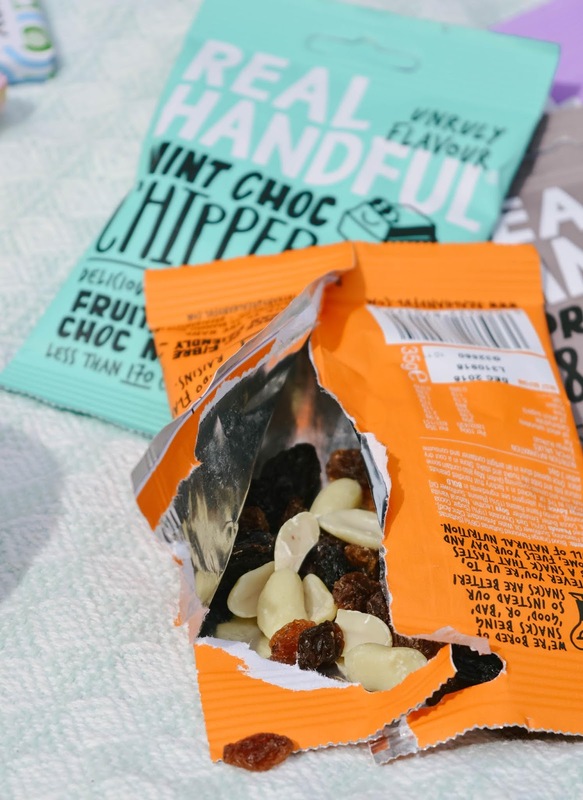 Real Handful have packets of fruit, nut, and chocolate or seeds with delicious flavours like Mint Choc Chipper (a favourite of mine! ), Espress So&SO (one for coffee lovers! ), Blood Orange Burst which tastes like chocolate orange, and much more. The snack packs are around 160 calories on average and contain protein from nuts which keeps you going. I usually have a packet in my bag for those times when I get hungry but lunch or dinner is still pretty far away. And for my chocolate fix I have been turning to Doisy & Dam - superfood chocolate which is truly indulgent without the bad stuff! 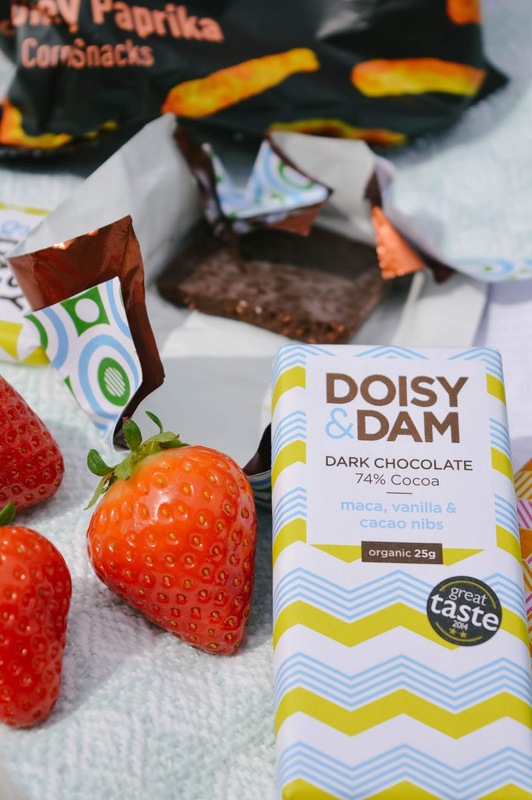 Doisy & Dam include at least 8% of superfoods in their chocolate with flavours like goji berry, coconut and lucuma, maca, cacao nibs - just to name a few! The chocolates are also gluten free and come in vegan ranges which means everyone can enjoy them. I loved the flavours of the chocolates and one bar is plenty to get your chocolate fix. 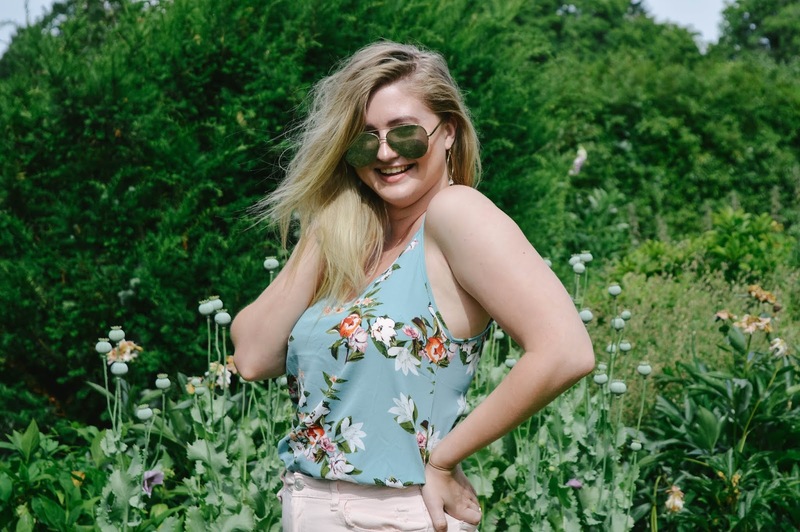 I love this floral top for summer - so easy to wear with shorts, jeans, or a skirt. I realised that one thing my wardrobe is lacking is summer tops - sweaters I have plenty, but when it comes to cute summer tops I realise it's an area for improvement. Especially vest tops which give you a nice tan! I hope the hot weather stays - I know, controversial with so many tweets and posts about 'bringing the rain back', but I'm a sunshine baby. What is your favourite season? *Some of the items worn in this post have been gifted by SheIn for collaboration purposes; some of the food included in this post was kindly gifted by brands for review.